Josef Holub, one of the greatest figures of 20th century Czech botany, died suddenly of a heart-failure during a botanical excursion on 23 July 1999, not far from the Central-Bohemian town Mladá Boleslav where he was born almost seventy years ago, on 5 February 1930. Although his health deteriorated in later years, it did not deter him from field excursions and work with live plants. He remained an enthusiastic field botanist until the last moments of his life. 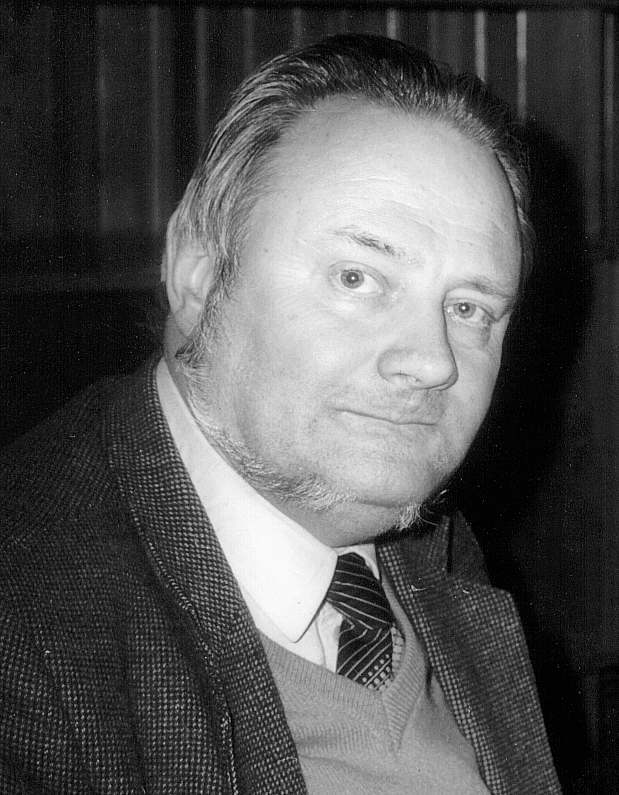 Taxonomy and nomenclature of vascular plants were the main research interests of Josef Holub. He was a member of the generation brought up on the principles of the classical morphological-geographical method, a generation which had to come to accept and become familiar with numerous methodical innovations associated with the progress and development of biosystematics. Josef Holub had a phenomenal memory which allowed him to achieve and integrate his remarkable knowledge from a number of different botanical fields and related disciplines. He also belonged to the generation whose members believed that each taxon should be assigned only one correct name. For that reason, he devoted a substantial part of his extraordinary skills and knowledge, possibly even too much of it, to nomenclatural studies covering subspecific to generic levels. Even though it might sometimes have seemed that nomenclature was his primary interest, his studies yielding nomenclatural conclusions always resulted from a detailed study of the problem and deep understanding of the respective taxonomical group. He was a distinguished representative of the ”splitter” approach and believed in the existence of the genus as an objective entity. He studied a wide array of vascular plants, and as his interest was a long-term one he would from time to time refocus his attention on these groups, and was quite capable of revising an earlier opinion (although not too frequently, partly because there was usually no need). The list of groups he studied is long and impressive, making it possible to mention here only those whose taxonomy was most influenced by his studies. His work on the order Lycopodiales made an important contribution to the generic concept and nomenclature of the group. He also described several genera and changed the generic status of a number of taxa by transfer to the genus Huperzia. As to other Pteridophyta, he elaborated the generic and subgeneric classification of the Equisetaceae, and focused on the relationships among some other Pteridophyte genera, such as Dryopteris, Lastraea, Thelypteris, and their nomenclature. Holub’s research in Angiosperms was represented mainly by a series of publications on the genera of perennial grasses of the tribe Aveneae and genus Glyceria as well as on the Composite subtribe Filaginea. He was an author of the taxonomical treatment of these groups in such prestigious works as Flora Europaea and Flora of Turkey. However, his activities were much more extensive and there was hardly a genus of the Central European flora he could not have commented on; numerous published combinations significantly support this statement. His encyclopaedic knowledge made him a most valued member of editorial boards engaged in the compilation of works on the flora of particular regions of Europe, i.e. Flora Europaea (where his contribution was specifically mentioned and highly appreciated in the acknowledgments), Flora Iberica, and recent editions of Hegi’s Flora von Mitteleuropa. Furthermore, he was one of the principle authors of the Flora of the Czech Republic and Flora of Slovakia. The last two decades saw him working on two genera in particular. For Rubus, the first of them, he had to produce a completely new classification. His treatment in the Flora of the Czech Republic includes nearly 100 species, some of them newly described. In his bramble studies, he cooperated closely with H. Weber of Osnabrück which made his work comparable with other Central European regions whose accounts of Rubus were already available. His continued systematic work on brambles – a long-lasting love – brought him several followers and stimulated an interest in this complex group of plants even among the botanical public. His most recent related activities, apart from his continued work on completing the checklist of Czech brambles, included karyological investigations (with A. Krahulcová) and extensive research in the distribution of particular Rubus species (with B. Trávníček). The elaboration of a second extensive and complicated genus, Crataegus, for the Flora of the Czech Republic can be considered Josef Holub’s other opus magnum. He produced his own original treatment of the genus consisting of several basic species and a large number of hybridogeneous types. In addition, he worked on the genera Heracleum, Epilobium, and Gentianella: he seemed to be attracted by taxonomical complexities! Josef Holub worked extremely systematically, at a steady unhurried pace seemingly without pause. He did not rely on documentation centres or databases, which were inaccessible to Eastern-European botanists for most of their lives; instead he created his own, ‘personal’, highly efficient information database. This enabled him to provide the vast amount of records and information from the regions he knew so well; which were to be included in such works as Atlas Florae Europaea and Index Holmiensis. Editors of such works will surely perceive his death as an irreplaceable loss since, at present, there is not a single person alive capable of taking on this role. He initiated work on the very first survey of endangered species both for the former Czechoslovakia and the Czech Republic, and was the chief contributor in the preparation of the Red Data List of Czech and Slovak Republics - to be published later this year. In this work, he made use of his critical approach, his excellent knowledge of most regional European Red Data lists and his immense knowledge of the Czech flora. In the compilation of various floristic lists, he was always one step ahead; he not only included the occurrence of species present in a given area but also considered those that could be expected. It will be greatly regretted by both professional and amateur botanists in the Czech Republic that his time was cut short before finishing the keenly anticipated key to the flora of the Czech Republic on which he had been working for so many years. In 1991 Josef Holub became President of the Czech Botanical Society and in 1990 replaced J. Černohorský as Chief Editor of Preslia, the society’s journal - he felt honoured by both of these prestigious positions. Preslia became another ”love of his life” and tremendous time and effort were invested to transform the journal into its current format. His extremely meticulous approach was invaluable in this editorial work. Josef Holub was one of the founders of the Institute of Botany where he worked for practically the whole of his life. He helped to establish the Department of Biosystematics as well as the journal Folia Geobotanica & Phytotaxonomica published by the Institute of Botany since 1966. For more than 30 years, he was a member of the Editorial Board and one of its principle contributors. He started his career as a teacher at the Charles University in Prague where he graduated in 1953 but, surprisingly few people can consider themselves to be his students. Outstanding, leading spirits somehow did not fit ”the way society should be organized” under the communist regime, and, like many others, Holub was partly a victim of a warped political situation. In the late 1980s he showed a great deal of personal courage and supported what he believed was necessary to achieve political changes in the country. It is worth mentioning that his diploma work was on a geobotanical topic; this original specialization also contributed to his broad background and ability to view things from perspectives wider than those dictated by a narrow specialization. He utilized his tremendous range of knowledge in other fields of botany as well. In the 1960s, he worked on the preparation of the geobotanical map of the Czech Republic and was the leader of the group which prepared a modern overview of the country’s plant communities (Holub J. et al., 1967, Übersicht der höheren Vegetationseinheiten der Tschechoslowakei, Rozpr. Čs. Acad. Sci., Praha, 77/3: 1–75). His wife of many years, Věra Holubová-Jechová, was herself a distinguished mycologist, and worked on various genera of Hyphomycetes. Without any doubt, Holub’s influence was apparent in her outstanding scientific achievements. Sadly enough, she died six years ago of a similar cause, though in different circumstances. Josef Holub died with numerous unfinished projects on his desk. These projects represent a challenge for Czech botanists, his successors, and it will depend on them how many of them will be finished and to what extent. Unfortunately, extraordinary people leave extraordinary gaps. The absence of Josef Holub’s outstanding and distinguished personality will be felt for a long time, and not only by Czech botanists.